Who doesn't love a pink bunny with a red nose? Santa delivering fun year round. I'd love to be a part of your celebration! I've been blessed with the ability to bring smiles to children of all ages with balloons. I've been performing, since 2000 at, Birthday parties, Block parties, Corporate events, Grand Openings, Restaurants, Trade-shows and many more. I'm background checked and insured. I'm fluent in Spanish and a novice in ASL. 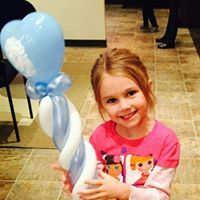 I've made 1,000’s of children, of all ages, smile with my balloon creations. Some events have a theme and I'm able to create balloons that match the theme, for example "Princesses Theme" I can make Arial, Cinderella and so on or I can make princess tiaras and matching wands for each little girl. Contact us today to make your reservation. Santa Rich was absolutely fabulous!! The kids and adults absolutely loved him! I will definitely be booking again!!!!! Thank you Lizzy! Visiting with your family was so much fun! Everyone's excitement and participation in the story we shared was Awesome! Thank you for letting Santa Rich be a part of your treasured Christmas memories! Santa had a lot of fun; taking picture with the children, giving out candy and presents, playing trivia games with all the children and judging the ugly sweater contest! It was great being a part of your Christmas gift to your community Danielle! Rich entertained the children at a company Christmas party. Rich was incredible with the children and was able to do all their requests. The kids kept lining up wanting more. He did an awesome Minny and Mickey Mouse that my kids loved. We will definitely be using him again. The Magical Balloon Man has entertained the children at the Feets of Strength 5k Run/Walk for Child Abuse Awareness for the past four years. He does an excellent, professional job and the children love him. 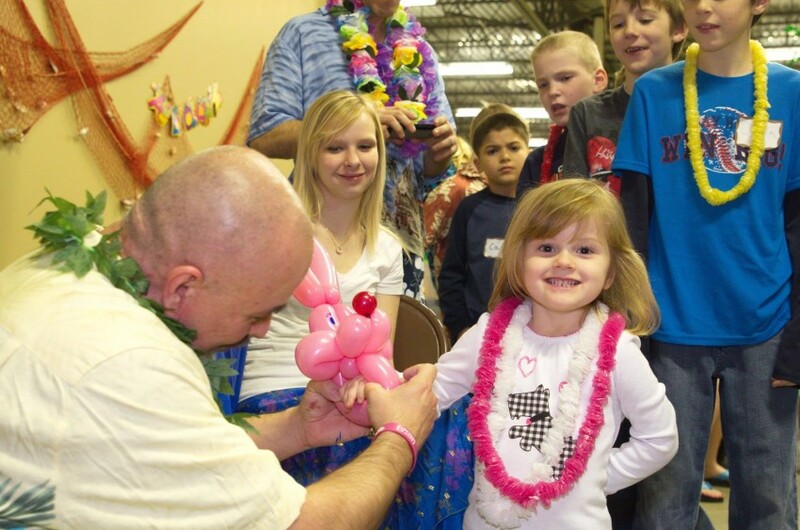 He provides the children fabulous balloon creations all while showing patience and kindness to them. I highly recommend him. A Magical Balloon Man amazes with creative Twisting Entertainment. Children of all ages from 3 to 103 have all marvel at his Magical Balloon creations. Custom Balloon Sculptures, Special Balloon Bouquet Deliveries and also Special Event Decorations. A Magical Balloon Man is available for; Festivals, Church Events, Corporate Events, School Events, City Festivals, Library Programs, Birthday Parties, Neighborhood Parties, and more! 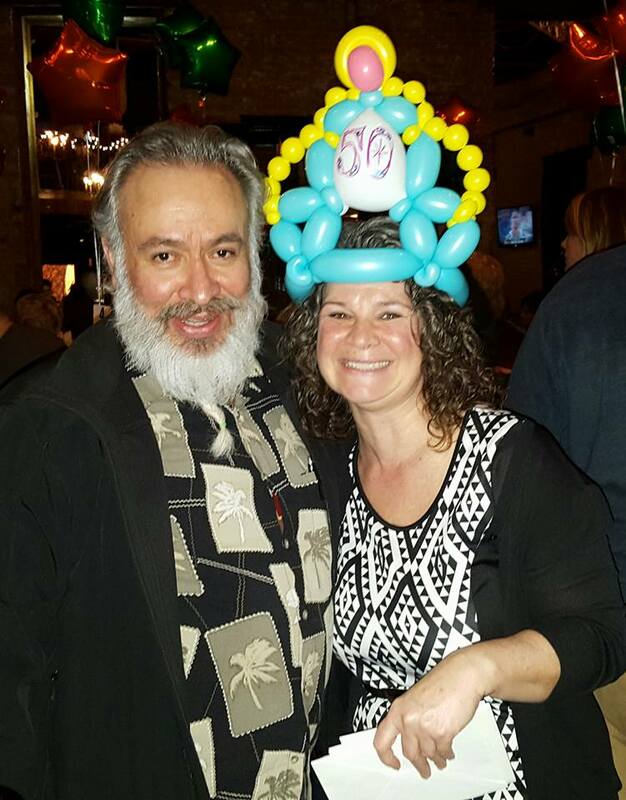 To add A Magical Balloon Man to your next Jubilation contact us today to make your reservation! Weddings, Birthday Parties, Mitzvah’s, Quince Años, Anniversary Celebrations (whether corporate or private), Family and School Reunions, Grand Openings and much more! 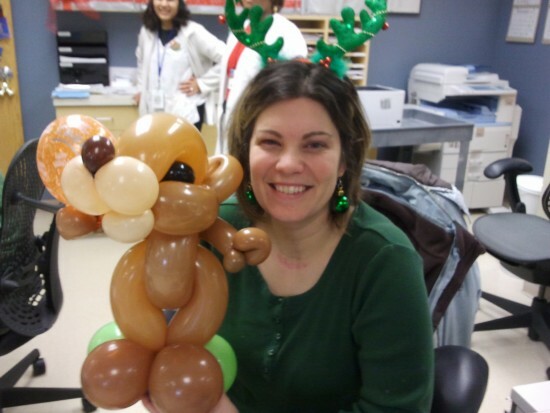 Or we can make special occasion Balloon Deliveries of a Custom balloon sculptures for; Milestone Birthday, Graduations, Arrival of Baby, Baby showers, Grand Openings, Job Promotions, basically any celebration. Additionally making deliveries of “Thank you” bouquets for corporate clients, we can customize any delivery and we can incorporate anything you'd like into our delivery. Hi, my name is Santa Rich, I am a real bearded professional Santa Claus. For the past five years I have had the pleasure of getting to spend some quality time with countless Chicago area children and have heard their Christmas wishes and got to take the beloved Christmas photos with them. I recently moved down to Millstadt, IL and I hope to continue portraying Santa Claus for the children in the area. I am professionally trained at both the Professional Santa Claus School of Denver and the Santa Claus Conservatory. I have my own copy of The Night before Christmas, my own Santa Claus suit, a magic Santa bag that either I can fill (for an added price) or you can provide special toys to be given to all the good boys and girls. I have a clean background check and I am insured. I am currently working on learning ASL and I am also fluent in Spanish. I am available for Parades, meet and greets, photo sessions and home visits. An area for children to gather safely, depending on your event type most of my needs that a client would have to provide is crowd control. It would be nice to have a shelter for a shady area for hot summer events or rainy days, during the cold months indoors would definitely be appreciated. For events that have lines a person to help close the line, one 1/2 hour before your event ends would be a great help. A comfortable chair is a top priority for Santa, along with a clear and well lite background followed by a knowledgeable assistant to help get the children through a Santa visit without a hitch. Depending on events ... For decor high ceilings are ideal. For large events space for the crowd to form a line as they await the special balloon creations.